Hurley’s eloquent, hypnotic style will have readers following, unquestioningly, to the very end. A tale of redemption, love, and mystery, The Prodigal is a masterpiece of artistic imagination and fluid strokes of the pen. Intelligently and eloquently written, this story—where past and present meet, where one man and those near him learn to inhale life, and where wonderful and unexplainable things can be accepted only by faith—is a powerful first novel by Michael Hurley. Lawyer Aidan Sharpe, the best in the business, finds himself waking one vacation morning on the beach on Ocracoke Island to the unexpected appearance of a woman and a moment in time that will catapult life-changing events into motion. Divorced one year earlier and with his world unraveling around him in North Carolina, Aidan makes a professional mistake that ends his career. Jobless and penniless, Aidan returns to Ocracoke Island to live in, and recover in, a rectory with Marcus, the Catholic priest. There he befriends those he had met before on his vacation: the buxom, if artificially so, woman named Bobbi; a barkeeper of the Black Flag, Zoot; Ibrahim, a Bahamian hiding from the law; Molly, a towboat operator; and most unexpectedly, Sara, the woman from the beach. As Aidan earns his keep by varnishing a winning schooner, Ocracoke Island works its magic and charm on him and the residents of its land. Ocracoke, a bleep on the map where the weary take refuge and come forth healed, seems to be blessed with a mystery. Sara, the woman who simply showed up one day and has been looked after by a select few, seems to be spiritual in some unexplainable way. Loving her the way they do, the others are gravely concerned and panicked the day Sara and her boat are discovered missing. While mourning her loss—upon Molly’s towboat, having searched and not found her—they look up to find a new mystery heading their way. The Prodigal, as they will come to know her, a ship lost at sea over 150 years earlier, reappears seemingly out of thin air. Everyone’s faith will be needed as a search for answers and a race for redemption ensues. With a comparison to the biblical story of the prodigal son, this story begins in 1851 with two young lovers running away aboard that very ship, the Prodigal, as the girl’s father looks on, weeping, hoping for their return. For whatever reason, the ship remains “alive” and comes to stir the imagination, love, and will of those it later encounters. This novel easily sweeps the audience into its embrace at the very onset and keeps hold until the end. Hurley’s characters successfully draw readers into their lives, allowing them to share their hurt, their forgiveness, their faith, and their newfound love of life. With such lovely lines as “Islands have long memories. The things that people are most ashamed of and would wish to hide are apt to be washed up in a storm, for all to see,” readers will earnestly want more. Hurley’s experience with the law, along with his knowledge and skills gained during his service in the US Coast Guard, benefits the complexity of his characters. 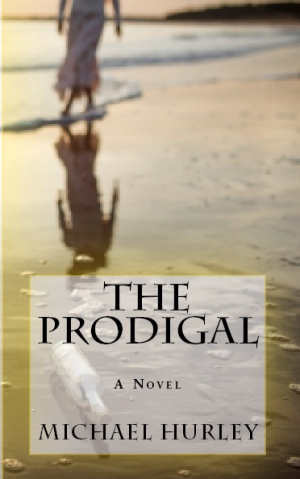 The Prodigal is a riveting and hypnotic novel.